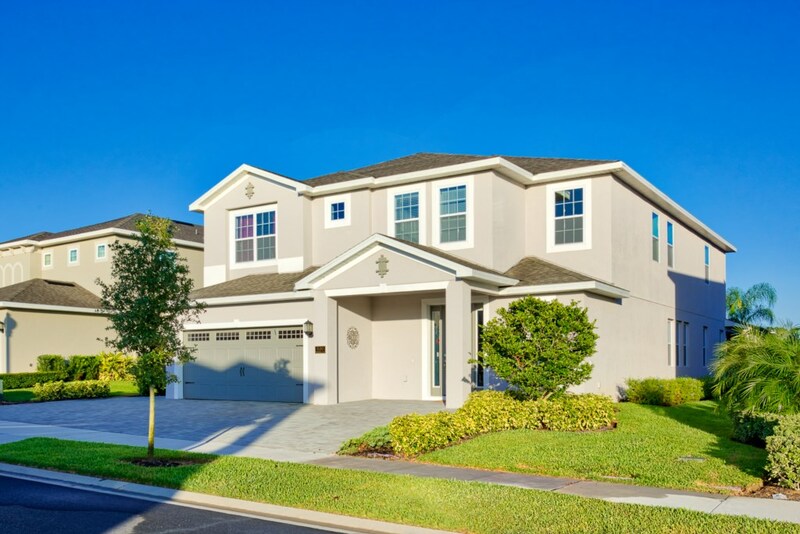 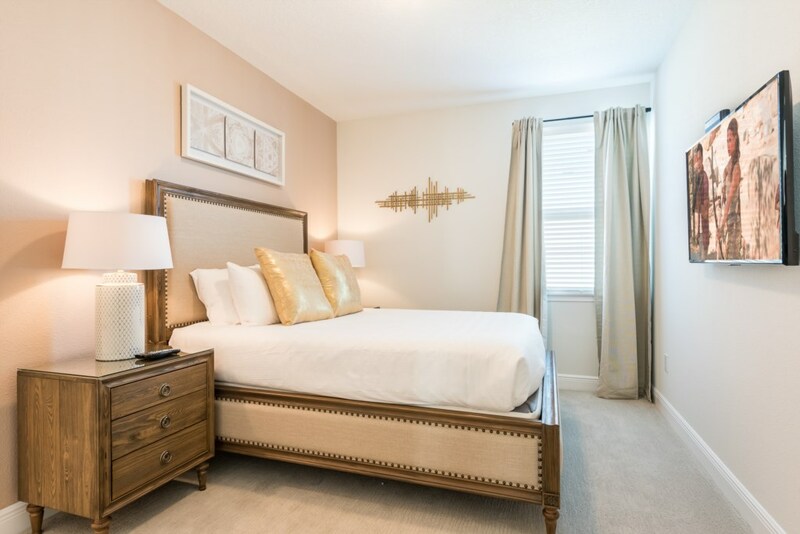 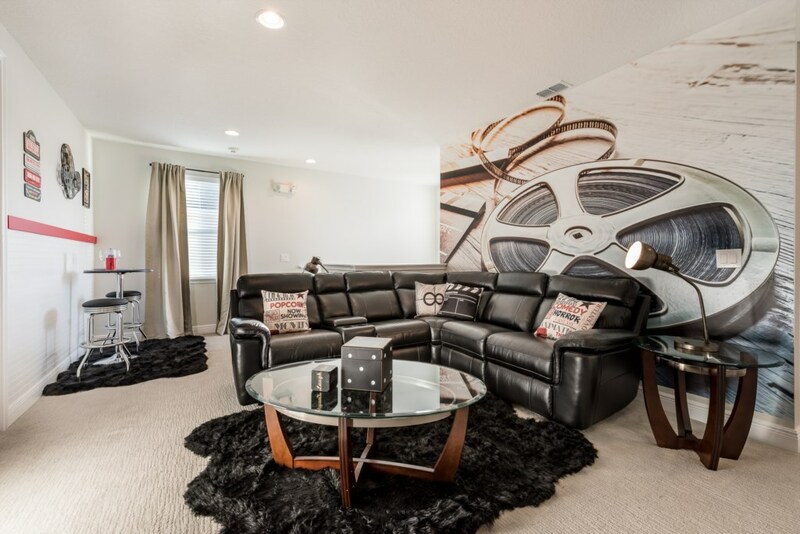 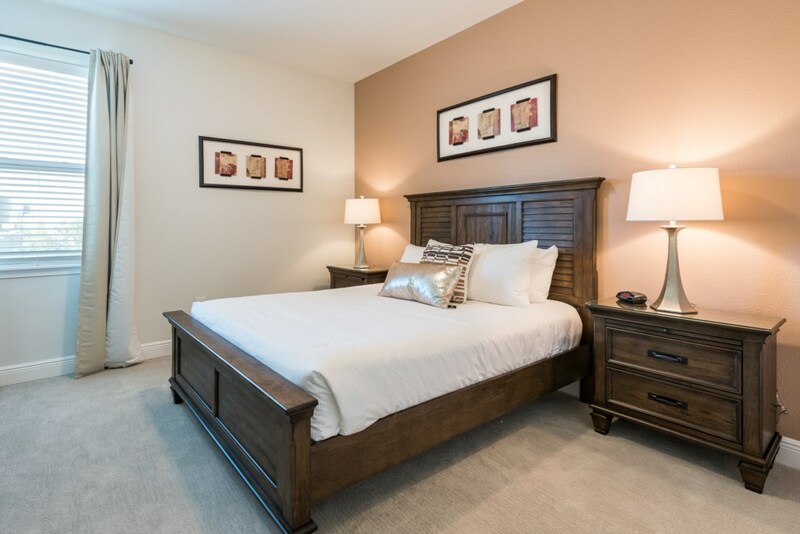 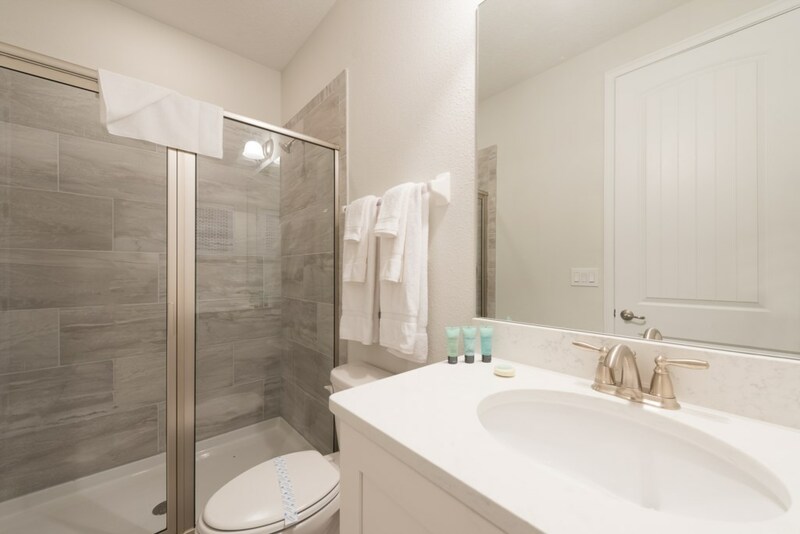 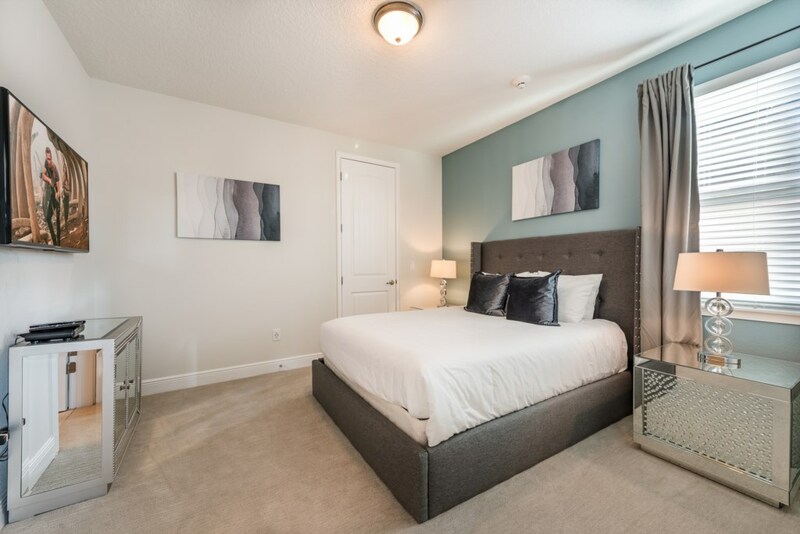 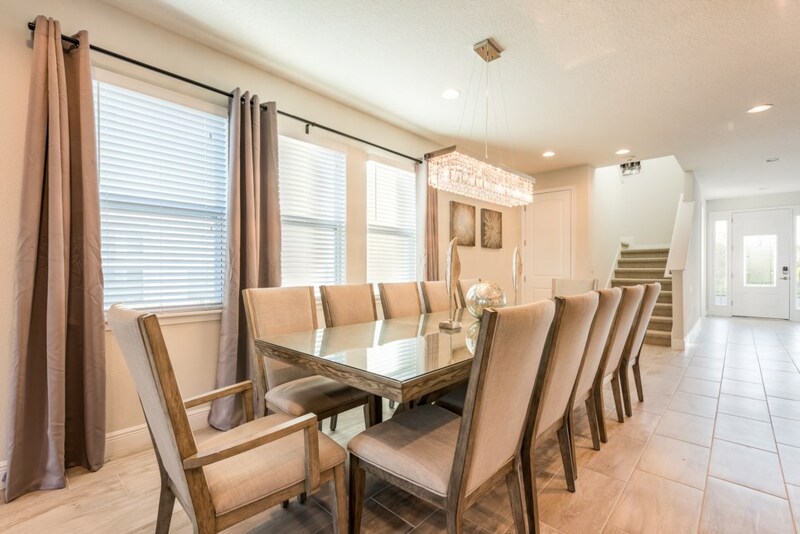 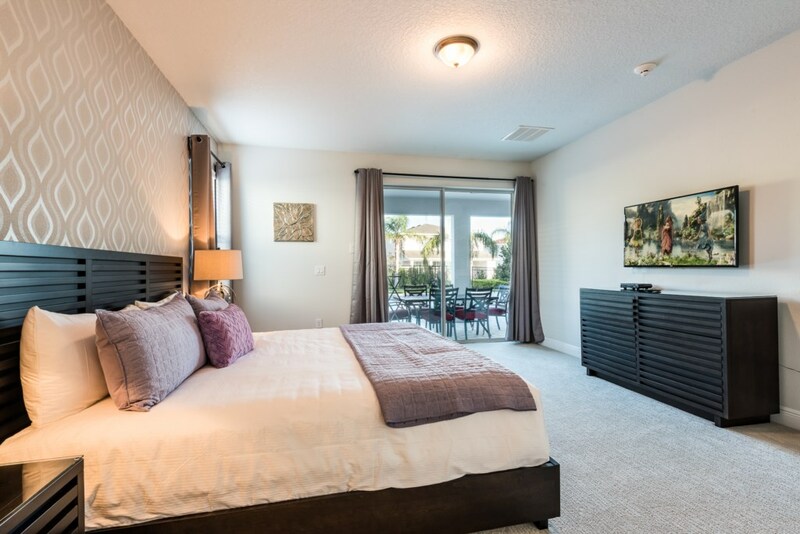 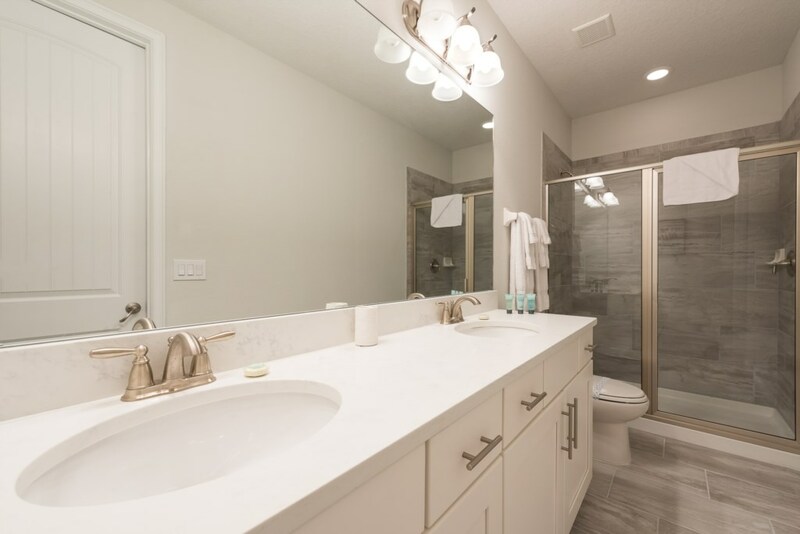 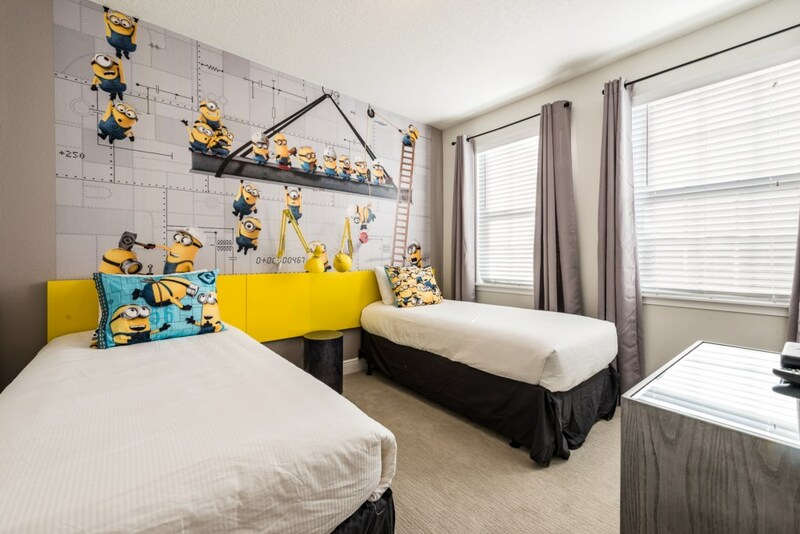 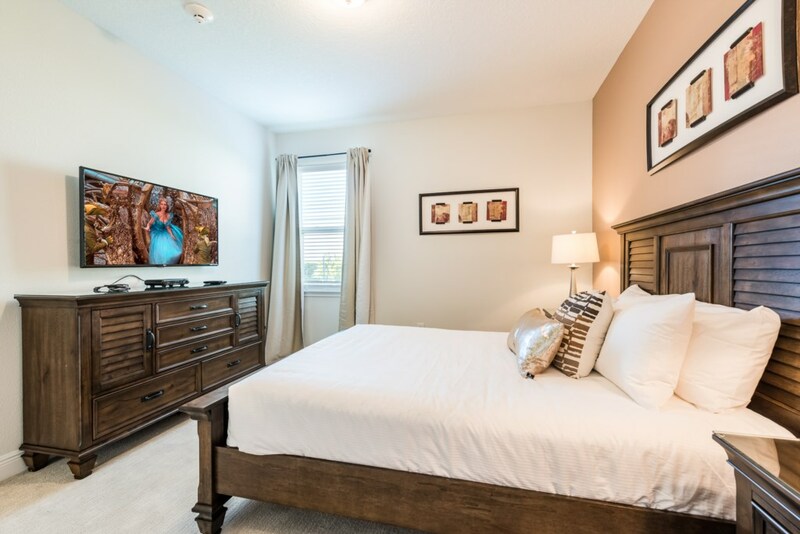 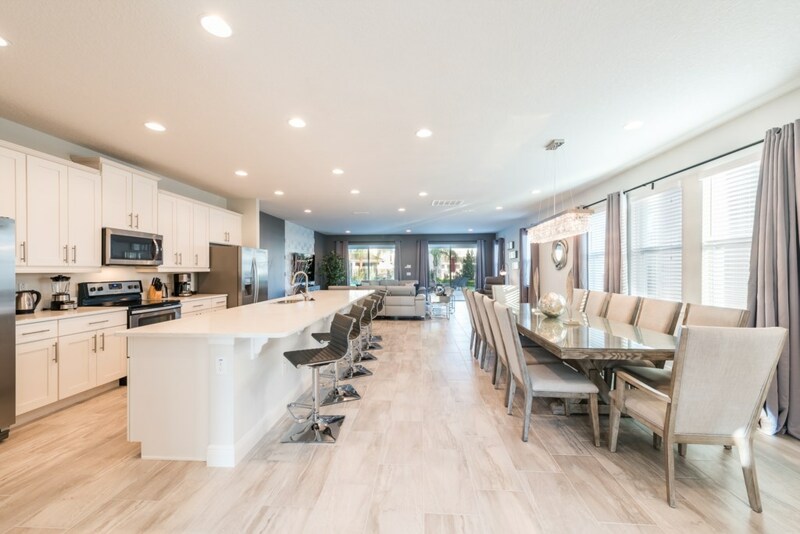 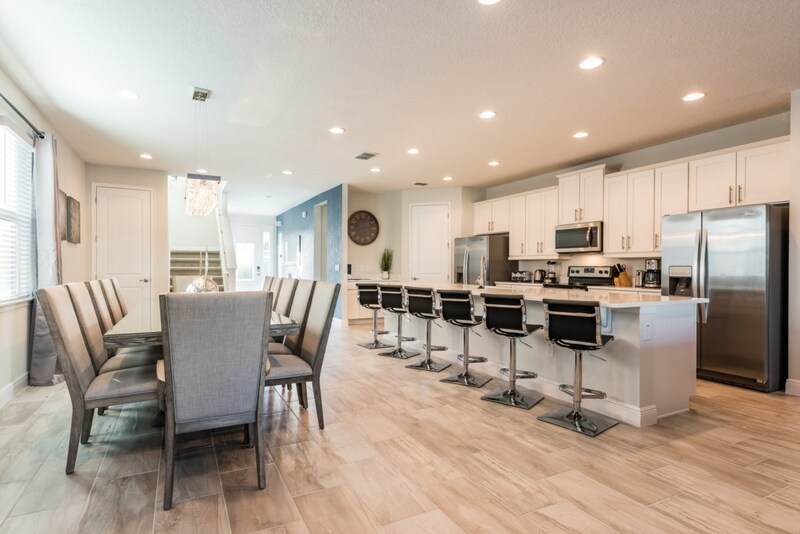 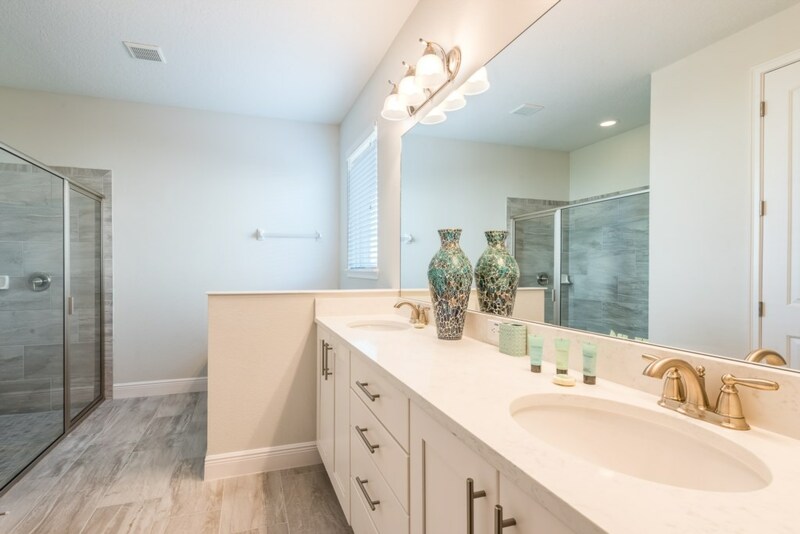 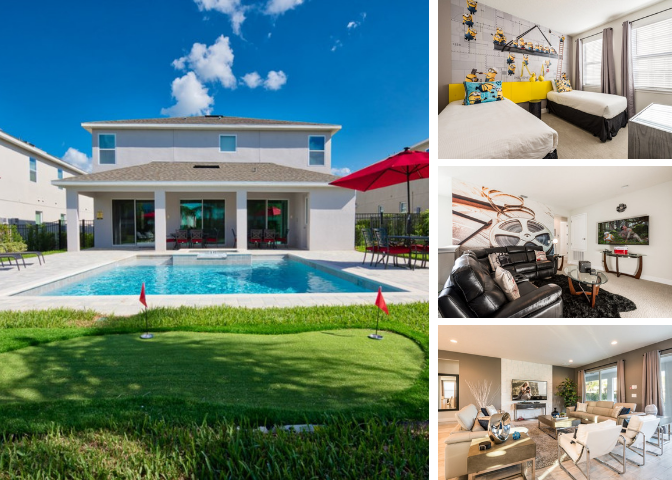 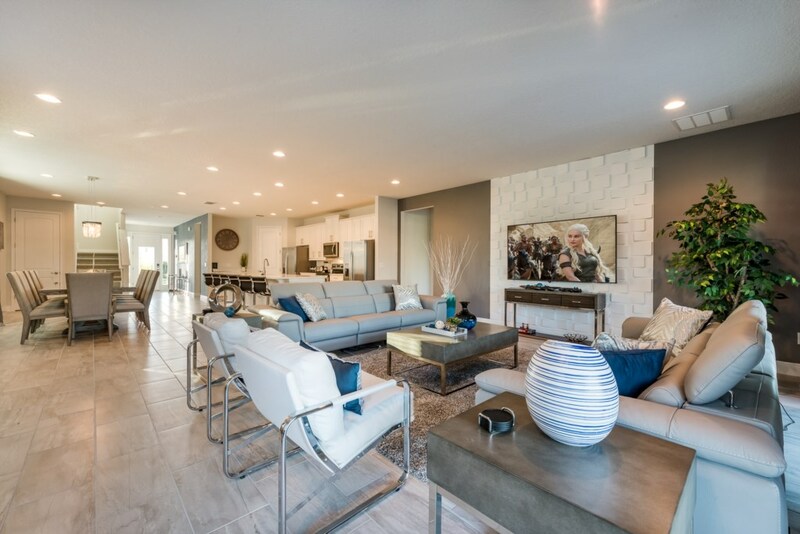 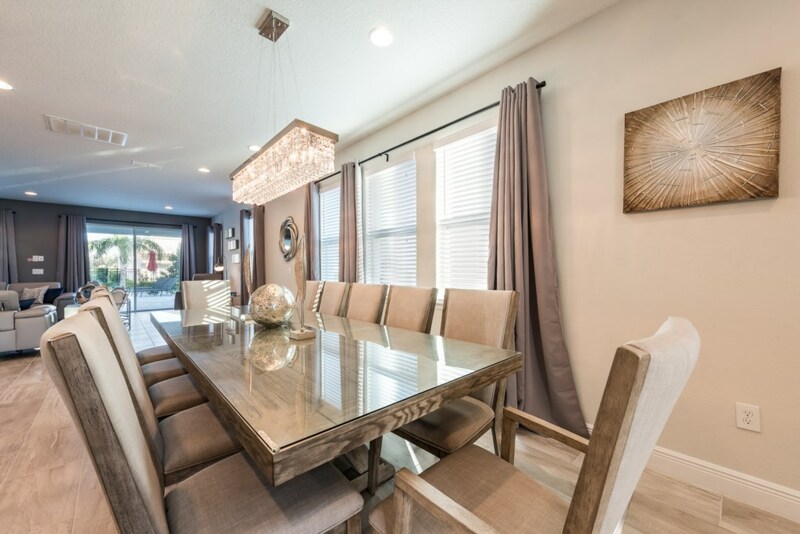 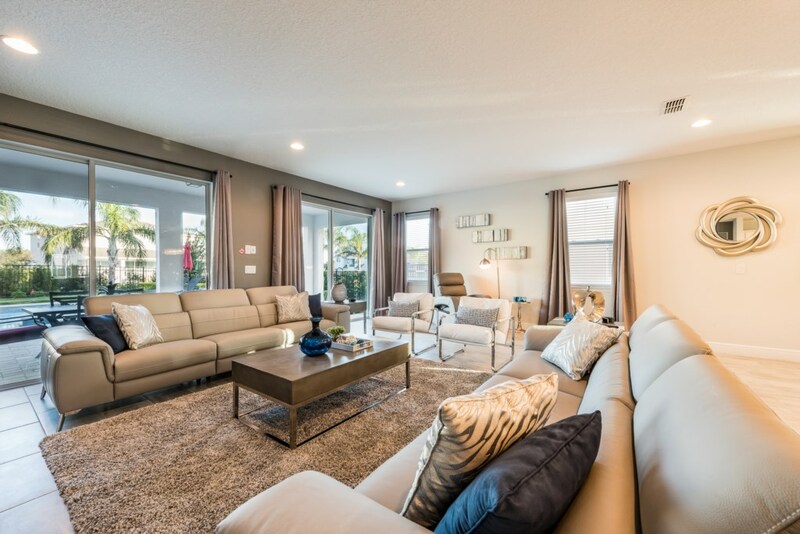 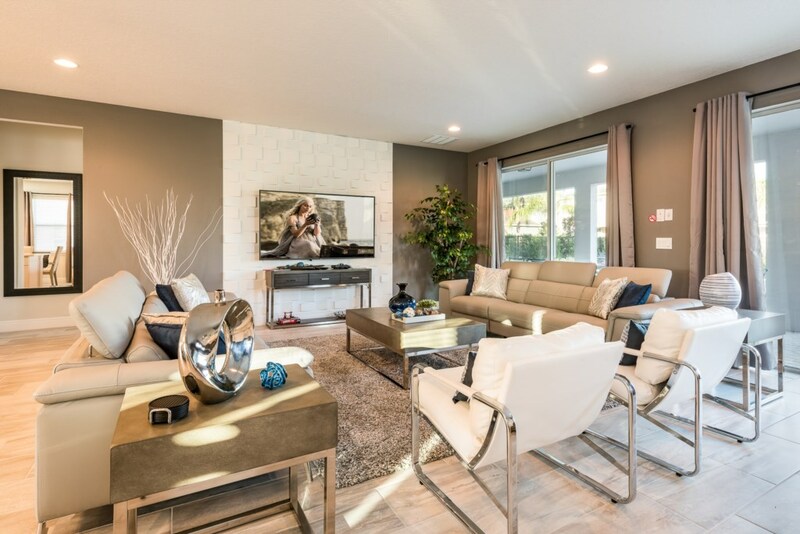 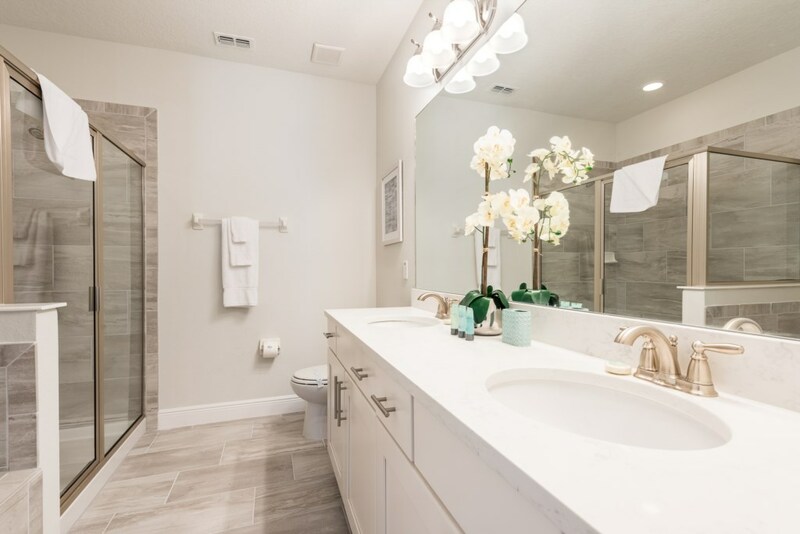 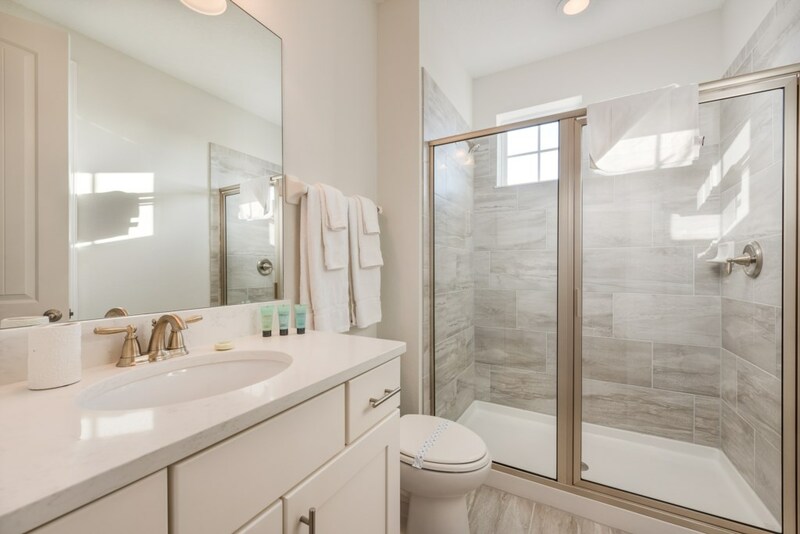 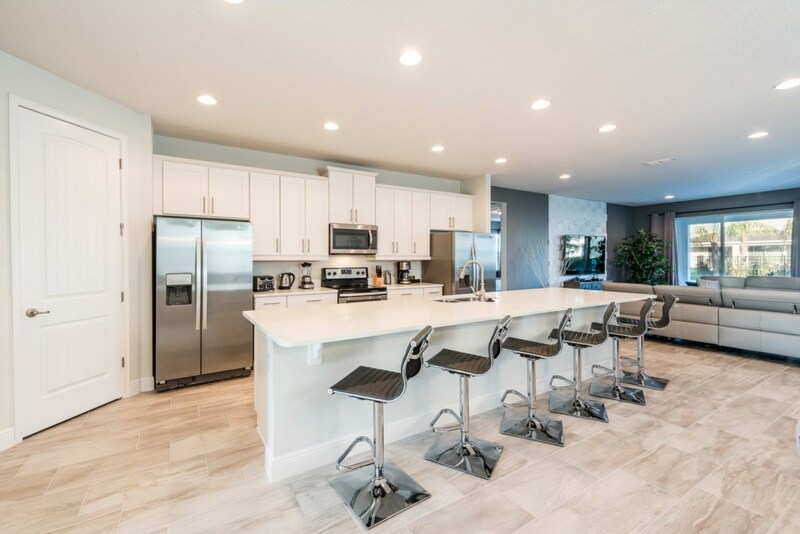 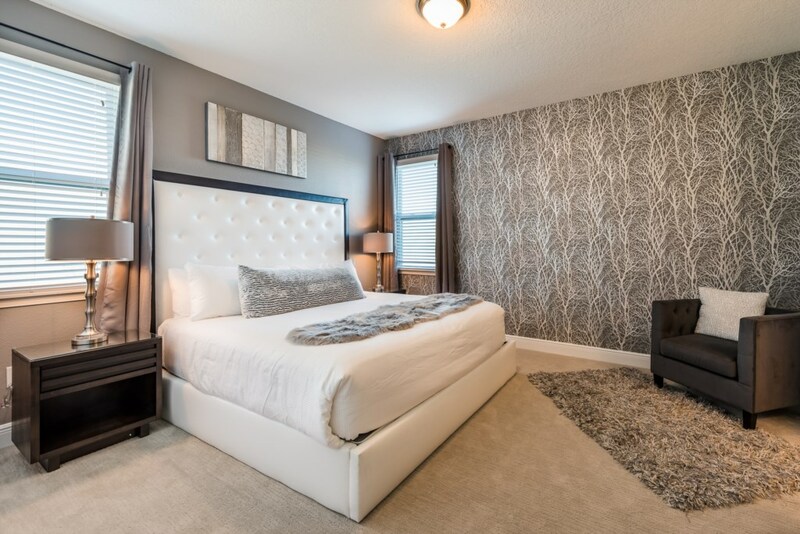 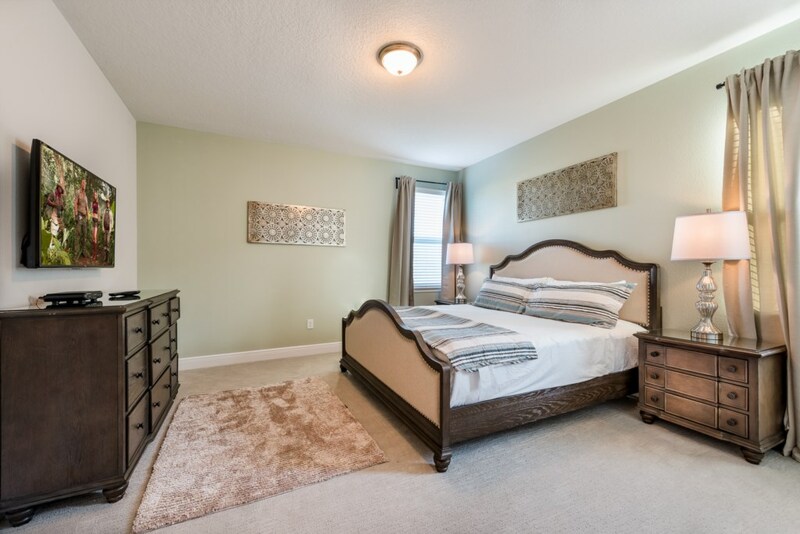 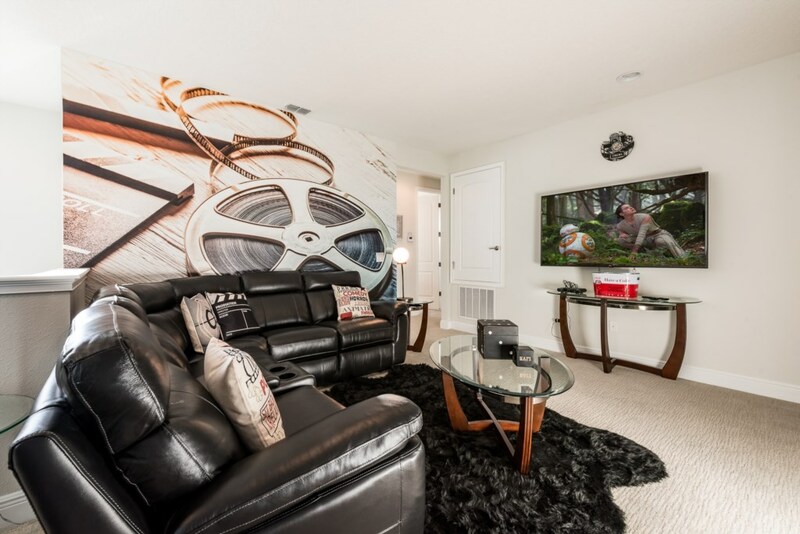 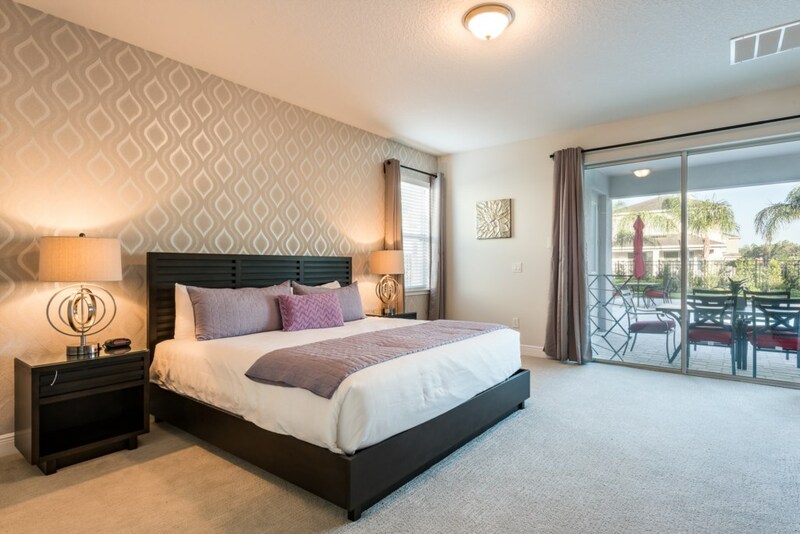 This 9 bedroom home, located at the Encore Club, is less than a 10 minute drive to Walt Disney World and their 4 incredible theme parks where you and your family can create magical and unforgettable memories that last a lifetime! 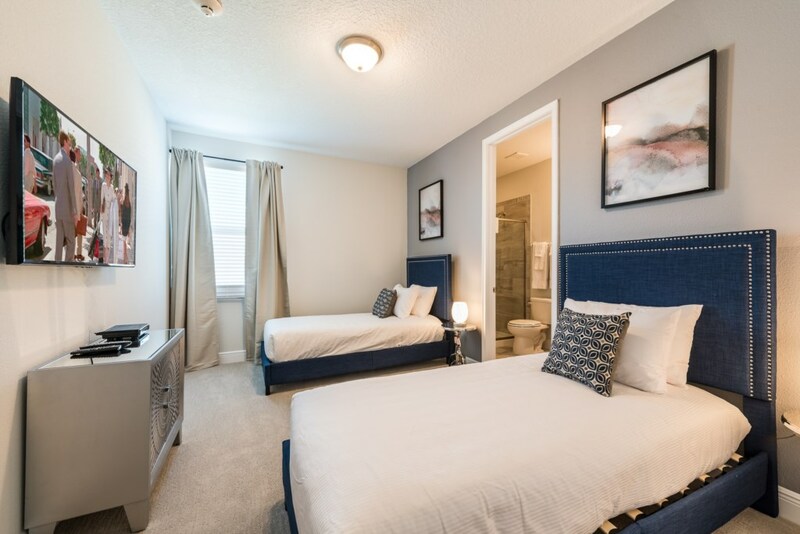 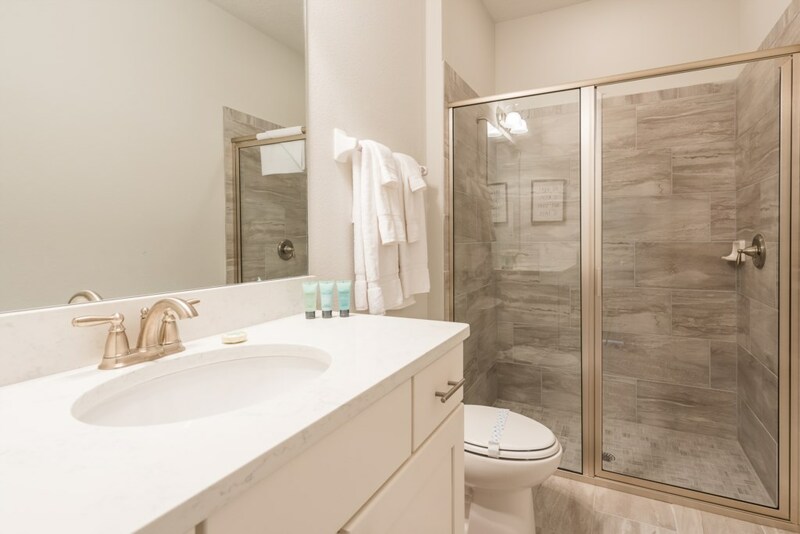 You and your loved ones can also enjoy exclusive amenities right on property including an Aquapark with thrilling water slides, an arcade, multiple bars and restaurants, and an amenity center with a fitness room! 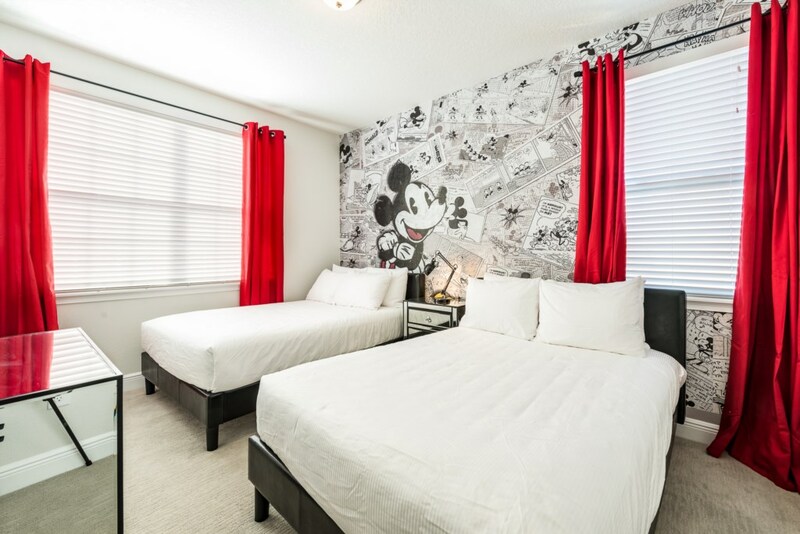 Sleeping up to 18 people, EC263 has bedrooms across both floors including 2 themed children's bedrooms! 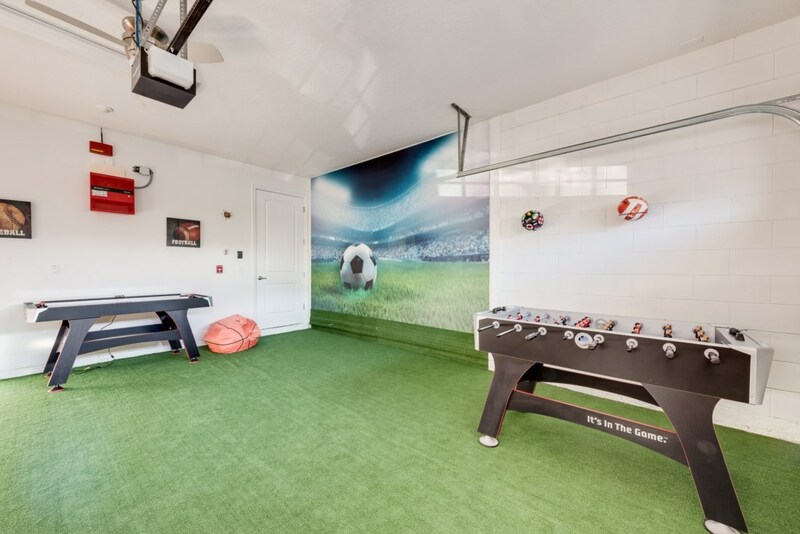 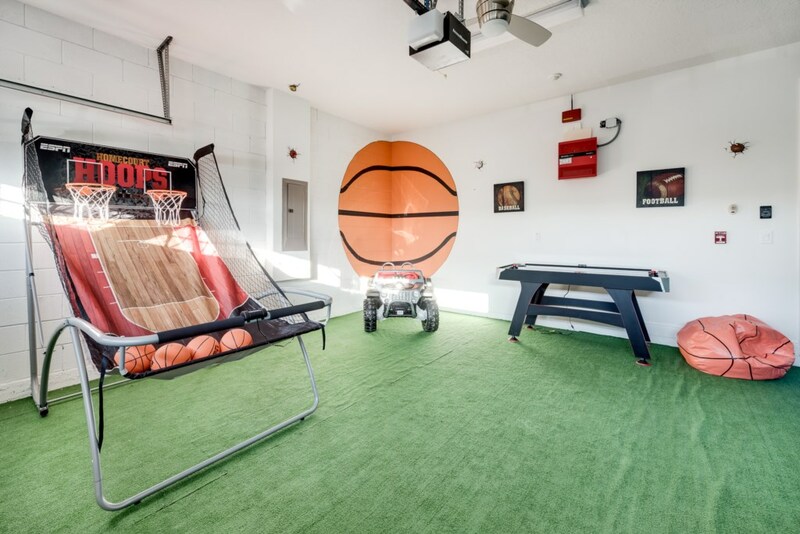 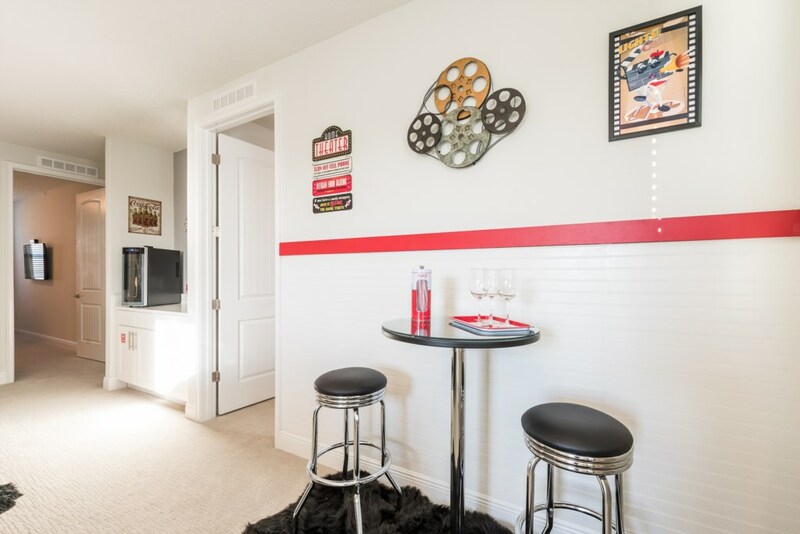 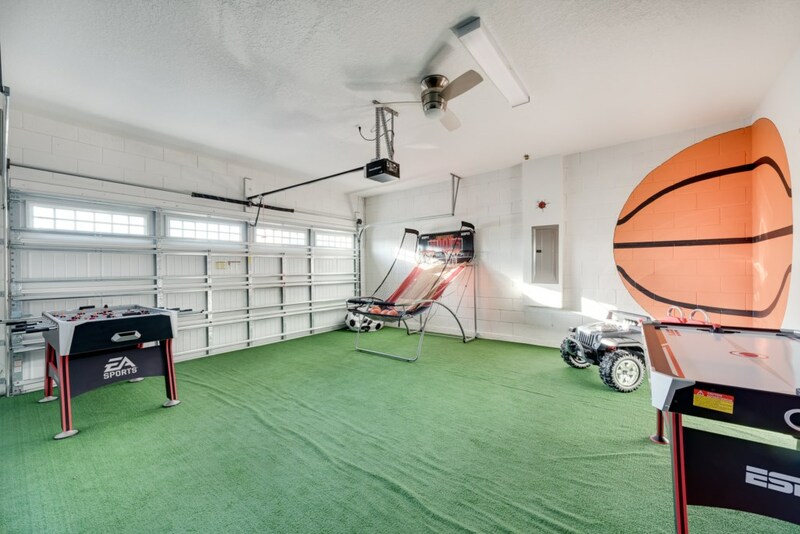 The games room is the perfect place for the whole family to play friendly competitions of air hockey and foosball or the upper floor loft area to watch your favorite movie! 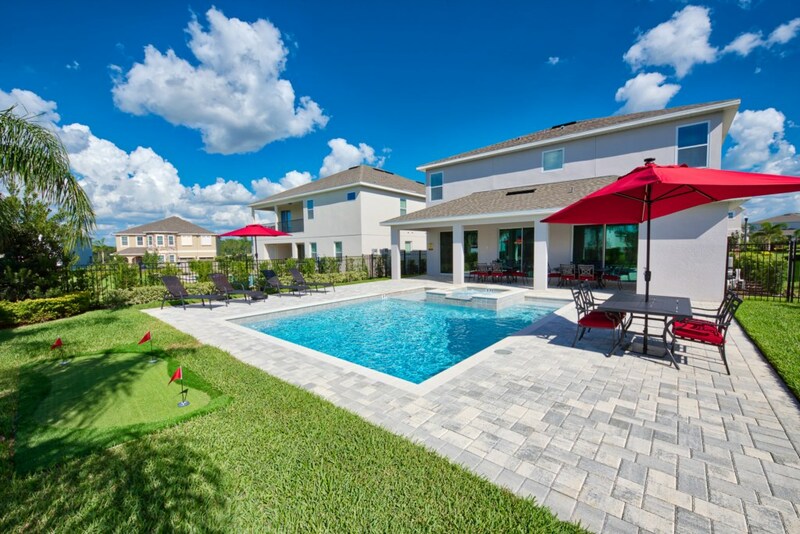 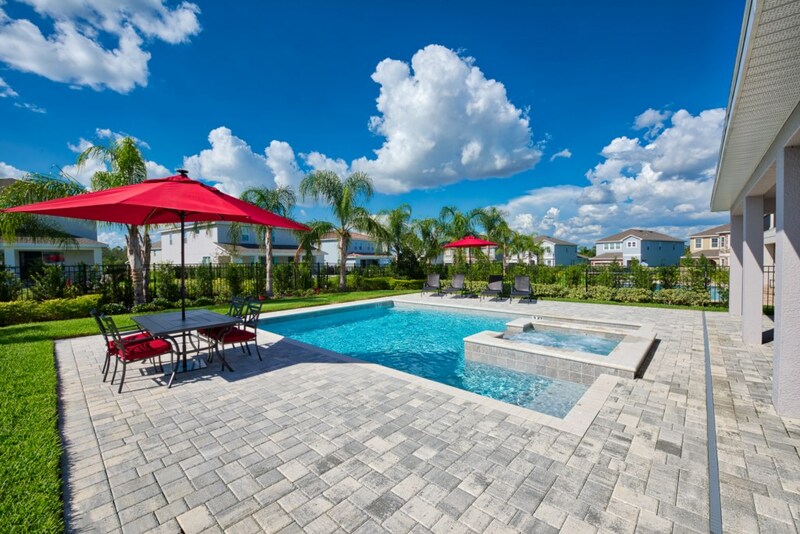 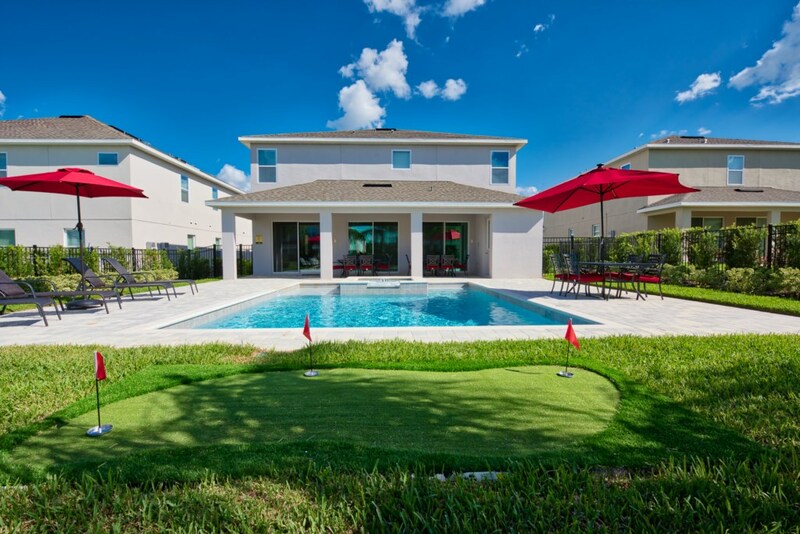 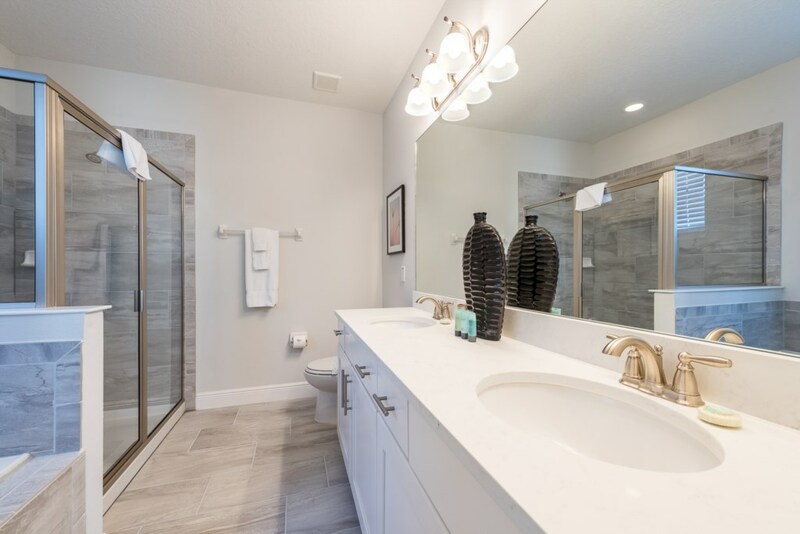 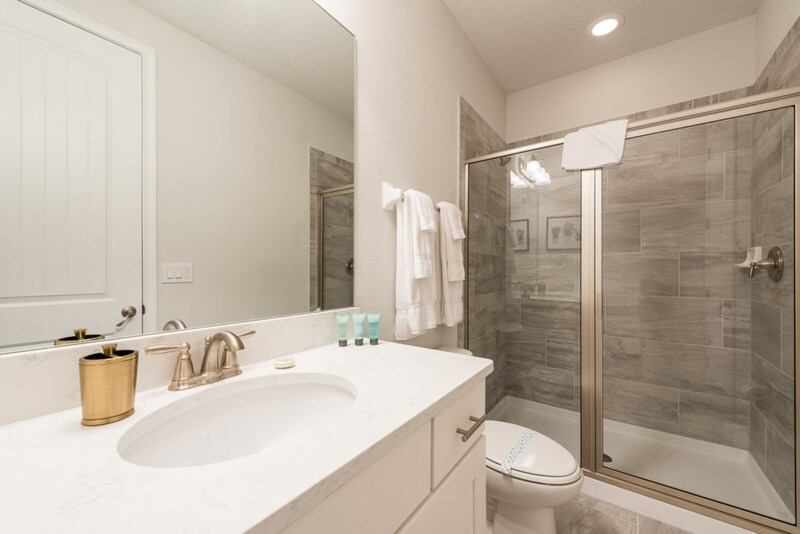 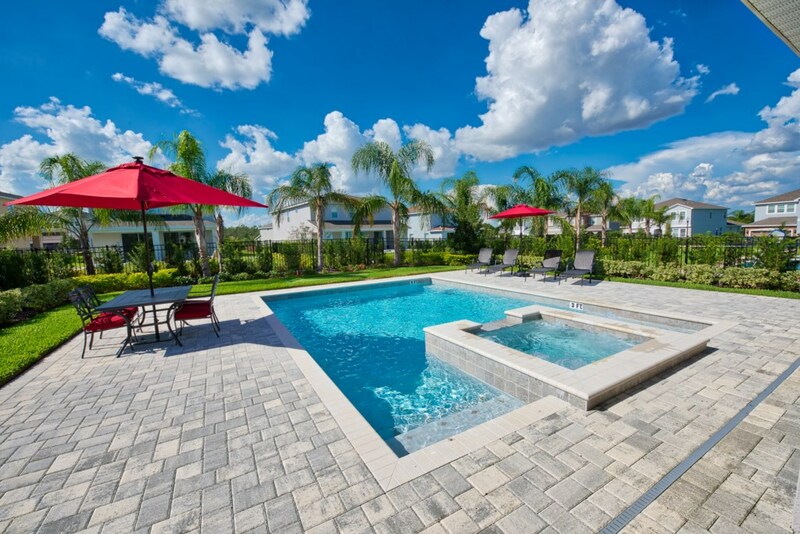 The outdoor deck is also a great place to soak up some Florida rays in your very own private swimming pool and spillover spa with a putting green for endless entertainment.